There's nothing quite like sitting down at home to watch a film or TV show on a big-screen TV. And now that 4K and HDR (High Dynamic Range) is becoming commonplace, upgrading your TV will mean that movies, sports and games look crisper, brighter and better than ever before. However, when there are so many different models, sizes and resolutions to pick from, finding the best TV for your living room – and your budget – isn't always easy. On this page, you'll find all of our recommended models, as well as links to each individual review for more in-depth analysis. 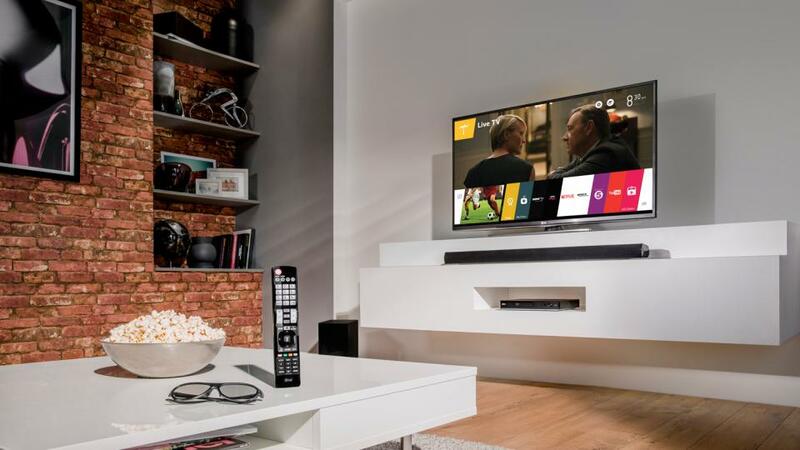 Scroll down and you'll find our buying guide, which takes you through everything you need to know about finding the right TV for you, starting from which size TV is right for your room, and detailing all the features you need to look out for. If you're not quite sure where to start, this guide is an invaluable primer. If you've not upgraded your TV for a few years, then you're likely to be pleasantly surprised: a new TV can do much more than just tune into BBC One HD. As well as the outstanding picture quality you can expect from modern 4K sets, most modern TVs have built-in Wi-Fi that bring Netflix, BBC iPlayer, Now TV and Amazon Instant Video direct to your lounge without the faff and fuss of cables and external streaming boxes. Now you can watch films in 4K, HDR, and catch up on the HD television broadcasts you’ve missed without having to reach for a PC or Blu-ray player. If you've been perusing our list of the best TVs and have found that the best reviewed models are too big for your room, or for your budget, then a word to the wise: most TV models come in several different sizes. If you look below each of our recommended TVs, you'll find a table listing which sizes each model is available in. If you like the look of one of the 65in models here, but really want a 55in TV, then simply take your pick. Barring those screen size differences, each model has identical specifications so you can be confident that image quality will be practically identical across the range. This means you can use our reviews to make a buying decision for any TV in the range, not just the exact model we’ve reviewed. The size of the TV you buy will be dictated not necessarily by the size of your room, but rather how far away you intend to sit. If you want to get the full benefit from a 4K HDR set, then you need to sit near enough to allow your eyes to see the increased picture clarity on offer. Buying a 4K TV that's too small for your room may mean that it won't look much better than a much cheaper 1080p TV. If you're not sure what size you need, then measure the distance between your usual seating position and your current TV. You may be surprised at how close you need to sit to a 4K TV as compared to an older 1080p set. For a 50in 4K TV, the recommended viewing distance is 5ft or less; for a 65in 4K TV, it's 6.5ft or less. You can, of course, sit further away if you wish, but unless your eyesight is better than 20/20, you may struggle to see the difference between standard Full HD content and bona-fide 4K Ultra HD material. 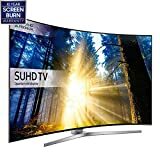 What TV resolution do I need? High-definition TVs currently fall into two categories: Full HD, otherwise known as 1080p (1,920 x 1,080) and Ultra HD, which is often referred to as 4K (3,840 x 2,160). In the same way that you could say 1080p is twice the resolution of 720p, 4K is four times the resolution of 1080p. There's also cinematic 4K or DCI 4K (4,096 x 2,160), which is what you see in the cinema, but most of the time a 4K TV refers to the Ultra HD resolution rather than the cinematic one – DCI 4K is something you'll see rarely outside the realms of professional monitors and cinema-quality projectors. These days, though, only the cheapest TVs utilise a Full HD resolutionm. It's been several years since any manufacturer actively sent us a Full HD TV for review. There are plenty of ways to watch 4K TV and movies these days. Streaming services Netflix and Amazon Instant Video are adding more and more shows to their 4K lineup every month; an increasing number of movies are now available on 4K Blu-ray discs; and games consoles are increasingly embracing 4K as the definitive standard. If gaming is one of your top priorities, then take a read of our guide where we explain how to pick the best TVs for gaming. When it comes to playing the latest games in 4K and HDR, it pays make the right choice. And if you're thinking about streaming 4K content via the internet, bear in mind that you'll need a fairly fast broadband internet connection. Netflix, for instance, can deliver 4K video at a maximum bit rate of 15.6Mbit/sec and frame rates up to 60fps. By way of comparison, 1080p Netflix content is currently delivered at a maximum of 5.8Mbit/sec. However, while most modern 4K TVs come with a built-in Netflix app, only some support Amazon Instant Video, so it's important to check which smart TV apps are available before you buy. Do I need a 3D TV? No. 3D has died a death in the TV market. For a time, 3D was the must-have feature for any self-respecting mid- to high-end TV, but it just didn't catch on with consumers. Instead, TV manufacturers have dumped 3D in favour of 4K and HDR support, and sources of 3D content are in short supply. If you're looking at sets which still have 3D capability, then there are some differences to look out for. One of the key differences is the number of bundled glasses which comes with each set. In terms of the technology employed, 3D TVs are more likely to use active shutter glasses that are battery powered and recharge over USB than the passive 3D technology found in cinemas, but there are a few exceptions. The smoothness of a 3D image, and whether or not screen flicker is visible, is determined by the effectiveness of a TV’s 3D glasses. It's difficult to overstate quite how good the Samsung UE65KS9500 is. There are few TVs out there which can do justice to 4K HDR content like this TV can – apart, maybe, from the Panasonic which you'll find below in the second spot – and the results have to be seen to be believed. The curved screen is partnered with slick design and good looks, and although the KS9500 is a tad chunkier than rival sets around the rear, that's for good reason. The extra girth hides an FALD (full array local dimming) backlight which allows the Samsung to provide super-bright HDR highlights across its 65in panel while delivering astonishing contrast and deep, lustrous blacks. Gaming responsiveness is best in class, too, which is a bonus. There are a few minor gripes here and there, but none severe enough to knock the Samsung KS9500 off the top spot. This is a TV to die for. The Panasonic Viera TX-58DX902B spent a long time at the top of our Best TVs guide. It's certainly not cheap, but Panasonic has delivered a 4K HDR spectacle like few others. 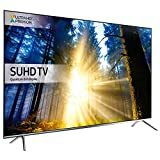 In a recent side-by-side shootout conducted by HDTVtest.co.uk, the TX-58DX902B only lost out very narrowly to Samsung's mighty UE65KS9500 (see above) – suffice to say, if you're looking for the very finest TV you can find, you owe it to your eyeballs to take a look at the Viera TX-58DX8902B. The beautiful picture performance is partly due to how well it controls its backlight, as it has 512 individually controlled zones in a honeycomb grid. This means there's less light leakage between zones allowing for improved contrast. The television has been rated Ultra HD Premium and it displays Ultra HD HDR content wonderfully. Its upscaling is also excellent thanks to its Studio Master HCX+ chip, which makes non-HDR Full HD content look gorgeous. The Viera TX-58DX8902B isn't a particularly slim TV, but its added thickness does mean its speakers aren't the thin and disappointing affair often seen with flatscreen TVs. This is one of the finest TVs you'll ever clap eyes on, and if it weren't for the Samsung UE65KS9500 it'd still be sitting pretty in the top spot. LG has updated its range of OLED TVs for 2017, and the result is stupendous. Image quality has improved dramatically across the board, with brightness taking a serious step up from the previous generations. HDR movies now look stunning – OLED still lags behind LED-backlit LCD for sheer eye-popping brightness, but the gap is narrowing steadily. You're unlikely to care, however, as OLED's perfect blacks and amazing contrast knock the LG's LCD rivals into touch. This is pretty much as good as it gets. Factor in class-leading input lag for the perfect gaming experience alongside excellent integrated speakers and Dolby Atmos audio, and the LG OLED55C7V is £3,000 well spent. Best of all, as LG's entire OLED TV family all share the same OLED panel and image processing engine, you're guaranteed the same image quality across the board. If you were thinking of splashing £8,000+ on LG's Wallpaper TV range, then you might want to think twice. Sony's Bravia ZD9 family doesn't do things by halves. The cheapest model in the range offers a mere 65in of 4K HDR loveliness for a few pennies less than £4,000, but if for some reason you've decided that nothing but a 100in TV will do, you better have a little more cash to hand – around £60,000, to be precise. Whichever model you choose, however, the ZD9 is a sight to behold. It's a little chunkier than some of its super-slim rivals, but this is because it employs 650 individual backlights, otherwise known as dimming zones, which allow it to combine eye-searingly bright highlights with the darkest, inkiest blacks. Rivals can pip it at the post for a more balanced all-round performance – and the Android TV front-end is disappointingly clunky, too – but one thing's for sure: right now, Sony's ZD9 serves up the best HDR image quality that you'll see from any TV at any price. Samsung's KS9000 is well deserving of its Ultra HD Premium certification – it's a fantastic TV through and through. Samsung has partnered Quantum Dot technology with its latest 10-bit panel, so it's able to display a wider variety of colours, and its HDR support means Ultra HD Blu-rays look fantastic. If you're still not sold on the idea of a curved TV then you might possibly want to direct your cash towards one of its flat-screened competitors such as the Panasonic models here, but we'd recommend you check it out if you can. You might become a convert. 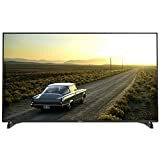 At £1,999, it's certainly not cheap, but it does come with a whole host of smart TV apps, including Netflix and Amazon Instant Video, so you can stream content in 4K as well – provided you have a good enough internet connection, that is. It also works seamlessly with Samsung's UBD-K8500 Ultra HD Blu-ray player. As far as affordable 4K TVs go, this Panasonic must surely be up there with the best. During testing we were blown away with its 4K image quality and Full HD upscaling abilities. It's an Accurate and natural colours, superb judder reduction and a huge array of image-adjustment options ticked all our boxes as far as image quality goes. It also comes with a decent selection of catch-up TV apps, as well as an easy pinning system that lets you pin apps, sources and TV channels to your homescreen for very quick access. You also get Freeview Play, a good EPG system that lets you open programmes in the relevant catch-up TV app without any faff. If Samsung's KS9000 is a little too expensive, then the KS7000 should be your next port of call. It's a lot cheaper than its flagship cousin, with the 49in model I tested coming in at just over a grand, and it's still a fantastic TV for the money. For starters, it isn't curved, and its handy metal feet are a lot easier to set up than the stand on the KS9000. It also has an Ultra HD Premium badge, so picture quality is top notch, and you get all the same ports, smart apps and built-in streaming services. If you've found yourself lusting after Samsung and Panasonic's high-end TVs, but simply can't stretch your budget quite far enough, then don't despair – the Samsung UE65KS8000 gives you a taste of that money-no-object image quality in a 65in TV which costs a whisker under £2,000. That's a lot of money, granted, but the performance across 4K, HDR and upscaled 1080P content is nigh-on immaculate. You don't get support for Dolby Vision, which is a minor moan, though. Nevertheless, the HDR performance is still highly impressive and the ultra-low input lag means that this is a superb choice for big-screen gaming. What else do I need to know before I buy a TV? Essentially a certification badge, the UHD Premium specification has been agreed by TV heavyweights including Samsung, LG, Panasonic, Sony and Sony, industry leaders Dolby and Technicolor, and various huge film studios including Disney, Twentieth Century Fox, Universal and Warner Bros. Contributors to the specification include TP Vision (Philips), Nvidia, Intel, HiSense, Amazon and Toshiba. The list is a who's who of audiovisual industry players, making UHD Premium a badge you should be able to rely upon. 3,840 x 2,160 resolution with 10-bit colour covering 90% of the DCI P3 colour gamut This is an Ultra HD resolution with more than one billion possible colours. The P3 gamut is a wider colour gamut, meaning you're presented with more realistic colours, with deeper shades now possible. This creates a more visually pleasing image and is also far closer to the way the director inteded you to see their creation. Most high-end cinemas use projection systems that cover the DCI P3 colour gamut, so expect to hear about 'cinema-quality' images in the near future. High Dynamic Range (HDR) You'll have probably already heard of HDR, and we've already reviewed a couple of TVs that support it. Now the tech has been given an official label and is integrated into UHD Premium. To be UHD Premium certified a TV needs a max brightness of 1,000cd/m2 (otherwise known as nits) and a black level of less than 0.05cd/m2. Alternatively, if your set can only get to 540cd/m2, then your black levels must be less than 0.0005cd/m2. It's not stated in the briefing information, but it's safe to assume that these figures must be possible simultaneously, giving you incredibly immersive and bright images where punchy blacks and bright colours can co-exist. Content can also be UHD Premium-certifiedWe won't go into it in detail, but content must also be mastered in a way that works with UHD Premium television sets. With the likes of Netflix and Amazon supporting such tech as well as the new UHD Blu-ray standard, expect more UHD Premium-compatible content to start appearing. What's the difference between LED vs OLED TVs? Flat-screen TVs use two types of panel technology: LCD and OLED. LCD used to be split into two further categories: those with LED backlight and those with cold cathode fluorescent lamp (CCFL) backlights. However, almost all LCD TVs now use LED backlights, which are less power-hungry and tend to produce a more vibrant, brighter picture. With LED TVs, manufacturers improve the contrast ratio of their displays by using a dynamic backlight that dims the screen when displaying dark scenes. This produces a darker picture with more pronounced blacks, but a side effect is that highlights and details are lost. In other words, you can have bright whites and dark blacks, but not both together. Awkwardly, LED TVs can be further separated into two categories: those that are edge-lit and those that are back-lit. Edge-lit models have LEDs at the edge of the screen, while back-lit sets have an array of LEDs spread behind the entire panel (also known as local dimming). Back-lighting lets the TV control picture brightness with greater accuracy. OLED TVs work differently. Despite sharing a similar name, OLED (or Organic Light Emitting Diode) panels use an organic material which emits light when an electric current is passed through it. This means each pixel can generate its own light source, so it doesn't need to use a bulky backlight to illuminate the screen. This has several advantages, as it not only creates truly deep blacks, but they're even more energy-efficient than LED TVs and have superior viewing angles. Even when sat at almost 90 degrees, there's rarely any visible colour shift. Equally, OLED panels are thinner, lighter and more flexible than LCD displays, so they can be bent and curved more easily. The only problem with OLED is the high manufacturing costs. The number of usable panels from any given production run, otherwise known as a yield, is still incredibly low, although LG is currently optimistic that it will begin mass production of OLED TVs very soon. At the moment, you can only buy curved OLED sets from Samsung and LG here in the UK, but they're still in pretty limited supply. We're pretty sure that OLED will eventually become the new standard for your typical TV, but until they drop significantly in price, it's unlikely we'll be seeing shops full of OLED TVs anytime soon. What's the difference between Freeview Play, Freeview HD and Freesat HD? Every new TV receives Freeview, but the majority now include Freeview HD tuners, too. This is the easiest way to watch high-definition broadcasts, because you can use your existing digital aerial without having to buy any additional equipment. Freesat HD is a non-subscription alternative to Freeview HD that’s transmitted by satellites rather than broadcasting towers. If you live in an area with poor broadcast reception and don’t want to pay for Sky TV, this is the best way to get television into your home. You can use an existing Sky satellite dish or pay to have one installed. You’ll also need to run a coaxial cable from the satellite to your television if no access point is available nearby. Freesat offers the same free-to-air HD channels as Freeview, with the addition of NHK World, but some minor standard definition channels differ between each platform. Also bear in mind that some TVs have dual tuners for both Freeview and Freesat installations. Be wary of TVs that just have a DVB-S2 satellite tuner. Technically these can be manually tuned to receive Freesat channels, but you won't get the EPG, so they're practically useless in this country. Aside from clearer images, another benefit of digital TV is the electronic programme guide (EPG), which can show you what’s on now or later at a glance. All TVs display now and next information in a small pop-up window, but most models also have a more in-depth full-screen mode that shows seven or more days of scheduling. What kind of apps do Smart TVs have? Most new TVs are equipped for wired or wireless networking, so you can connect them to your home network and the wider internet. This lets you stream multimedia content from your home computer and access online Smart TV portals. The quality of these services varies greatly. 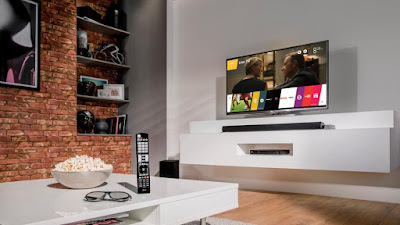 Some companies have excellent Smart hubs that let you access catch-up services such as Netflix, BBC iPlayer, ITV Player, All 4, Amazon Instant Video, Now TV, social networking tools and on-demand movies, while others only offer iPlayer, Netflix and YouTube video streaming. Many TVs can also play videos, music and photos directly from a memory card, portable hard disk or USB flash drive. Our reviews tell you what each TV can do, and how well it works. What ports and connections do I need? You’re almost definitely going to have at least one other device you want to connect to your TV, so it’s important to choose a model with an appropriate number of inputs for them. Most modern devices, including games consoles, Blu-ray players and digital set-top boxes use HDMI connections, so these should be your top priority. We suggest a minimum of four HDMI inputs, which should cover all the basics and still leave a spare port in case you want to connect a camcorder or digital camera. Look out for an HDMI input with an Audio Return Channel (ARC). This lets you send sound from the TV back down the HDMI cable to a connected amp, so you can get better sound for TV programmes without introducing more cabling. For future-proofing, it's well worth avoiding a 4K TV unless it has HDMI 2. The reason for this is simple, HDMI 1.4 only supports frame rates up to 30fps. HDMI 2 adds support for frame rates up to 60fps and also greatly increases the maximum audio throughput. SCART sockets have almost been completely replaced in favour of HDMI, but older devices, such as some games consoles and VCRs, still need them. You’re unlikely to find an S-Video port on a modern TV, so you may have to connect some older devices through the composite or component interface and put up with the inferior image quality. USB ports are fairly common on modern TVs. If you have a spare external flash drive, these can be used to record programmes, eliminating the need for a dedicated set-top box. You'll need to format it for your particular TV, though. Alternatively, you can use them to play your own media files from your PC. Some TVs support a wider range of file formats than others, but our reviews tell you which formats each TV supports. If you want to browse the web, USB ports are also useful for connecting a keyboard and mouse.